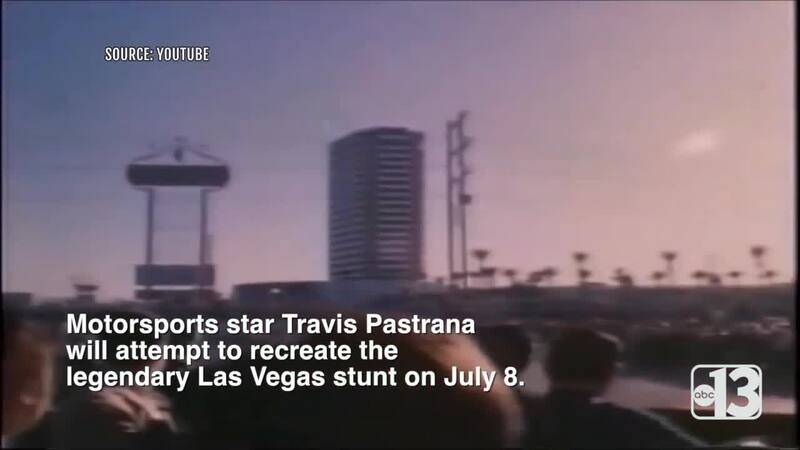 UPDATE JULY 6: 13 Action News reporter Parker Collins took viewers on an early morning tour of Caesars Palace, where Travis Pastrana will attempt to recreate one of Evel Knievel's most dangerous stunts on Sunday. Pastrana will attempt to recreate several Evel Knievel stunts, but the one many people are most excited about is his jump over the Caesars Palace fountains. 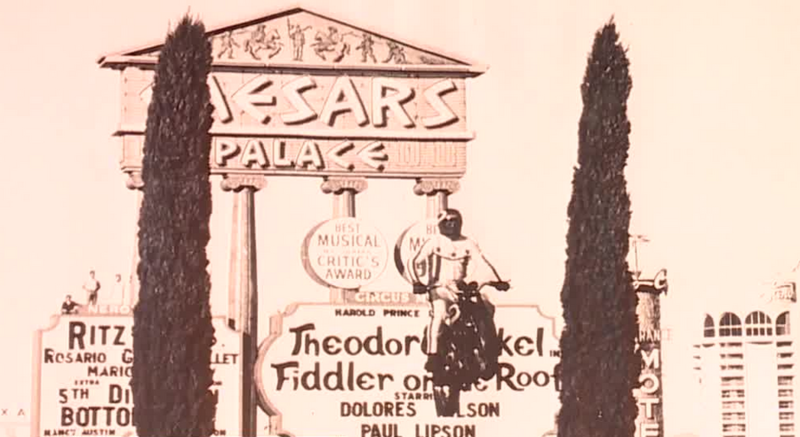 Parker also gave KTNV Twitter followers a nice glimpse at the atmosphere around Caesars. ORIGINAL STORY: 50 years ago, Evel Knievel attempted a stunt that nearly killed him when he jumped over the fountains at Caesars Palace. On July 8, motocross and extreme sports star Travis Pastrana will try to recreate and successfully land the same stunt. Knievel's legacy is cemented in Las Vegas at Evel Pie on Fremont Street. Inside the pizza shop is filled with pictures, memorabilia and even video games named after the first American daredevil. "At the time, he was the guy to emulate," said Michael Moretti, a local magician, who grew up watching every stunt Knievel tried. Longtime sportswriter and columnist Norm Clarke knew Evel Knievel in the years before he gained international fame. Clarke was working in Montana, Knievel's hometown. 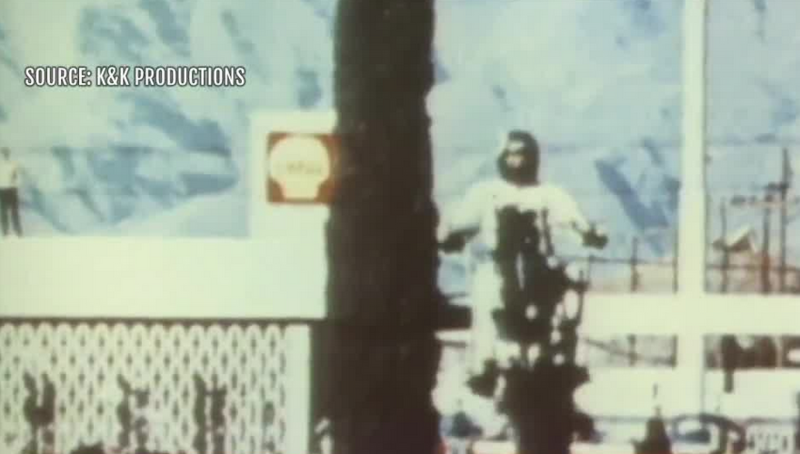 When he saw Knievel attempt the jump at Caesars, he was certain the worst had happened. "He was rolling over limp, arms flailing, he was unconscious. I think we all thought we saw a dead man." Knievel was in a coma for 29 days after the crash, breaking dozens of bones. He would live for another 40 years before his death in 2007. It should be noted that Evel Knievel son Robbie Knievel successfully completed the jump over the fountains at Caesars Palace in 1989. Robbie has made many of the same jumps that his father did. Pastrana's attempt to jump the fountains at Caesars will be on July 8 as part of a live event on the History Channel. The broadcast is expected to start at 5 p.m.